White Collar Crime in Georgia--A Blog By The Goolsby Law Firm, LLC. (706) 863-5281: Legal Question of the Day: Is Use of Drones to Kill American Citizens Okay? 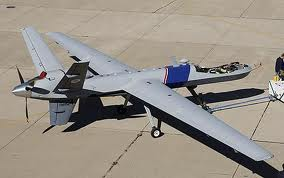 Legal Question of the Day: Is Use of Drones to Kill American Citizens Okay? So, here is the "legal question of the day:" Do you believe that using unmanned drones to kill American citizens, on U.S. soil, who are suspected of terrorist activities would be legal? The Attorney General, Eric Holder, has stated his opinion that such an action would be legal and justified. On the other hand, yesterday and last night, U.S. Senator Rand Paul, during a thirteen hour-long filibuster of the confirmation of John Brennan as C.I.A. Director, countered that such strikes would violate our Constitution. Who is right? What do you think? How in the world would that be legal? Suspected terrorist? The word suspected is crucial, I mean can you even imagine? I have problems with killing a convicted person let alone someone only suspected of something. This scares me, just scares me. Are we becoming so frightened that we are just going to shoot first and ask questions later? Thank you for your visit and your astute observations! The Goolsby Law Firm, LLC: Meet the Lawyers!